Ramesh knew that they could not survive on grants forever, and that he had to get back to work. This was contributed by Stori.org and Kaligarh. To read the full story and learn more about the Kaligarh Aaran Brand visit stori.org here. Nestled in the mountains, Nepal is a stunningly beautiful country; it attracts millions of tourists for its stunning views, unique culture and quirky personality. However, its location also makes it susceptible to some of the Earth's most dangerous disasters - earthquakes. One year ago, on 25th April 2015, a 7.9 magnitude earthquake hit Nepal, killing almost 9,000 people and affecting millions. Homes were ruined, communities destroyed and livelihoods shattered. In devastating times like this, having employment is essential, so that residents can rebuild their lives in a sustainable way. One man, Ramesh, knows the importance of such a treasured job. 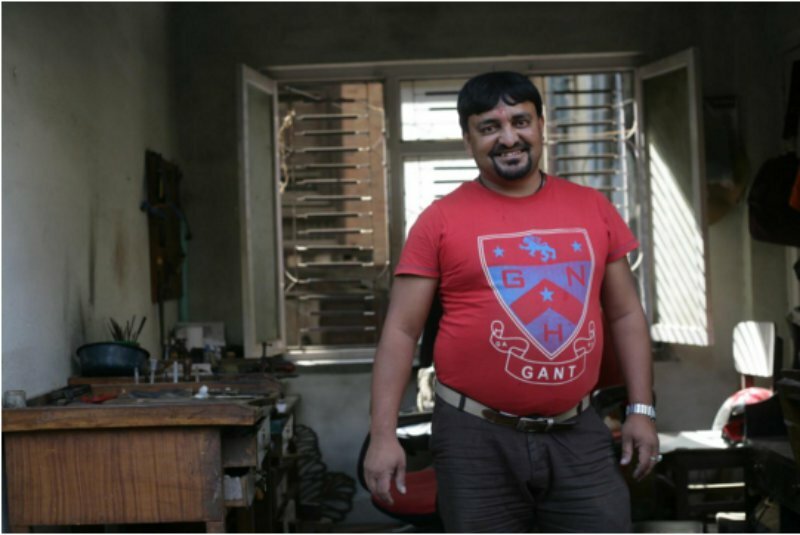 Ramesh is a jeweler, who has worked with Nepalese Jewelry Brand Kaligarh since its inception. He is the artisan behind the Aaran Band. The earthquake destroyed his home, in addition to Kaligarh’s office and the homes of his colleagues. For Ramesh, this was an incredibly difficult time. His family home where he lived with his wife, daughter, and son and daughter-in-law, was damaged beyond repair. His daughter-in-law was in the last stages of a difficult pregnancy with her first child, and with his son unable to work because of health issues, the family depended heavily on him. 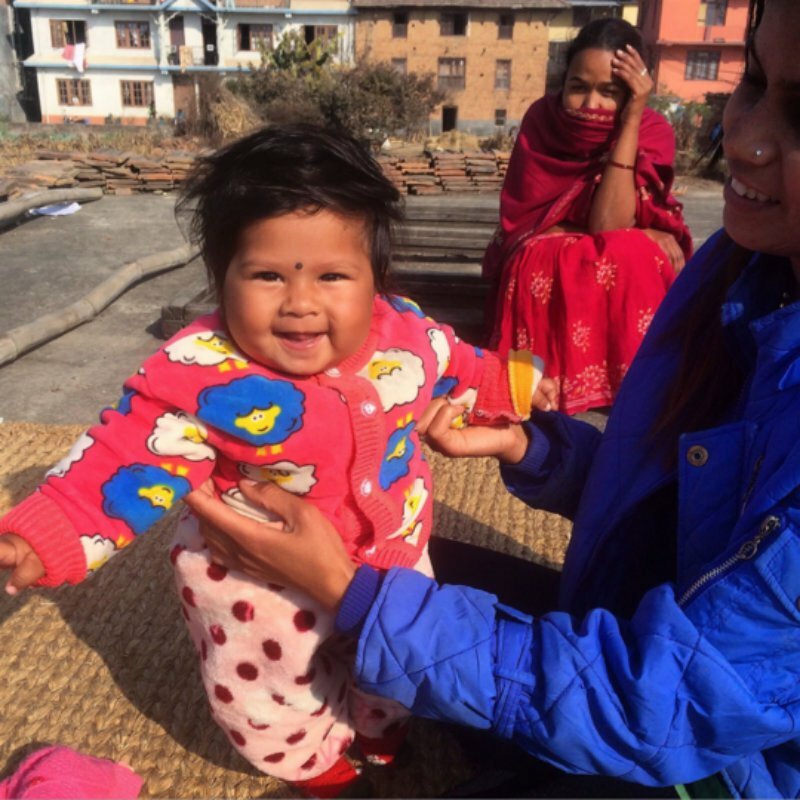 They were deeply touched by the support they received from Kaligarh’s friends and customers across the world, which enabled them to move to rented accommodation within a few days of the disaster, and for the expectant mother to receive the necessary medical care. However, Ramesh knew that they could not survive on grants forever, and that he had to get back to work. 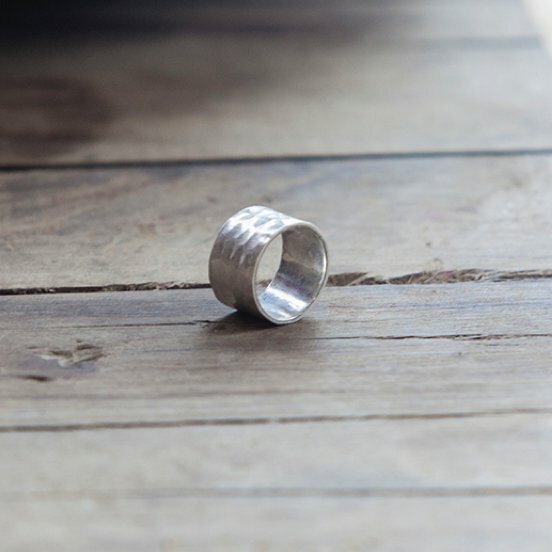 One of the pieces Ramesh made during this year is this timeless ring, made from sterling silver or brass. 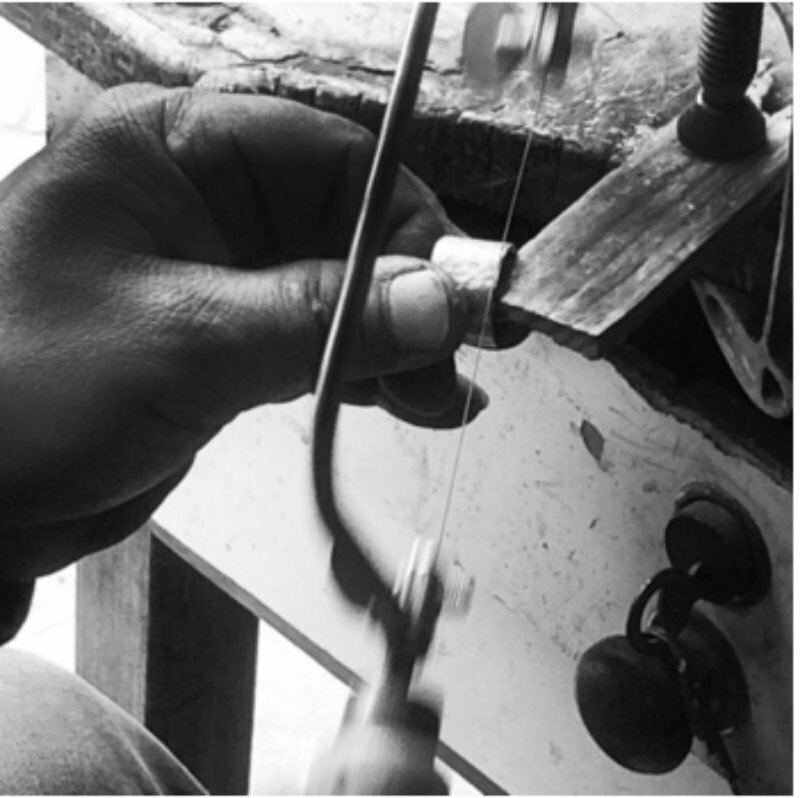 In the last year Ramesh's son has also started an apprenticeship with Kaligarh, learning how to make jewelry from their Thoka collection. While working is essential, it was not enough to rebuild his family home and the government loans for earthquake victims have been delayed. He was unable to secure a loan from a bank, so Kaligarh stepped in with financial support. The family has recently moved into a house that they plan to stay in for 3-4 years, as they gather the funds to rebuild a permanent home. Kaligarh go above and beyond to support their artisans day to day, and in times when they need it the most - a time when it would have been easy for a new company to walk away. This is a company is deeply committed to Nepal and to its artisans, and continues to support all of their team to rebuild from this disaster. This ring is more than just a ring. It's a product of passion, commitment and resilience. It is a way to support Ramesh and his family that goes beyond aid. And, its timeless quality means that it will last a lifetime, so you can both look great and tell Ramesh's story whenever you wear it for years to come.